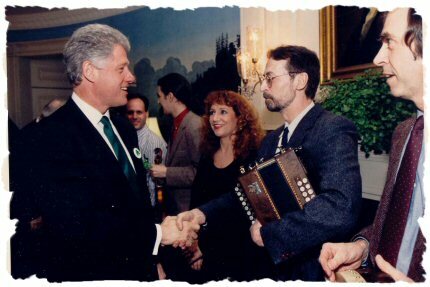 President Clinton shaking hands with Terence Winch, 15 March 1996. Also pictured, left to right: Regan Wick, Patrick Ourceau, Laura Murphy, Jesse Winch. Official White House photo. 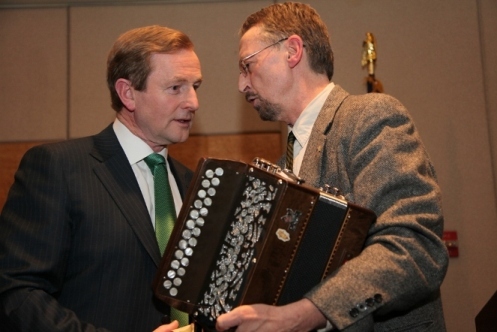 The photo here shows, from left to right, Irish Taoiseach (Prime Minister) Bertie Ahern, Jesse Winch, and Terence Winch at a reception hosted by Baltimore Mayor Martin O'Malley on 16 March 2005. (c) Office of Mayor, Baltimore. Photo by Jay L. Baker. 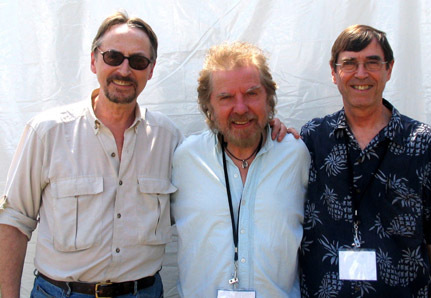 Terry Winch, Tommy Sands, and Jesse Winch at the Smithsonian's Folklife Festival on the National Mall, 7/7/07. Photo by Carmel McGill. 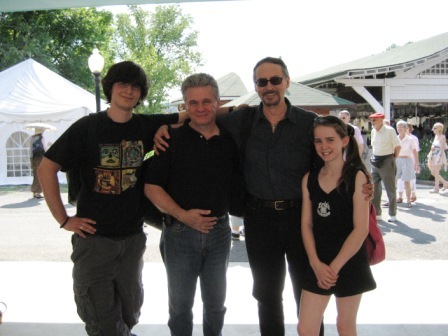 Michael Winch (TW's son & an excellent fiddler); button-accordion great Billy McComiskey; Terence Winch; Fiona Winch (TW's niece and an up-and-coming stepdancer), at the Irish Festival at Glen Echo, Maryland, 9/2/07. 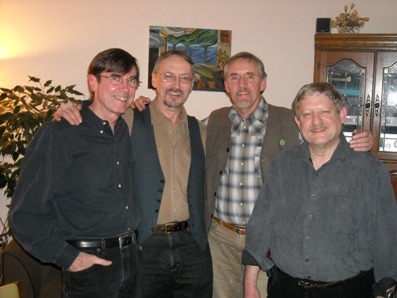 Photo by Kelley Weissenborn.